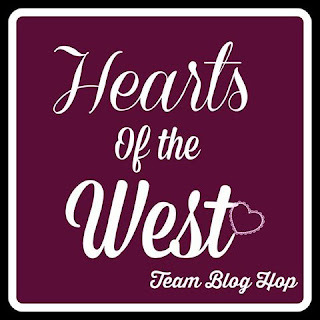 Welcome to the Hearts of the West Blog Hop! 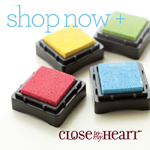 This Blog Hop features Close to My Heart Consultants from all over Canada showing you their projects. 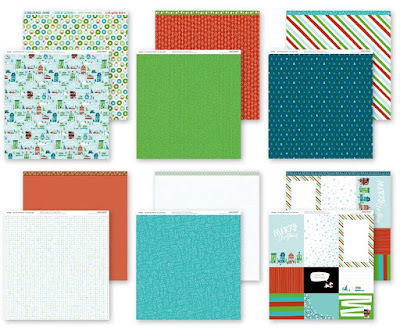 This months challenge is the new City Sidewalks paper pack. If you came from Brenda Gieck's Blog, then you are on the right track. This is a go around blog hop so you can start anywhere. Just in case, the full list of participants is at the bottom of this post. So as always, grab you beverage of choice and hop around the country with us. I created this hexagon shaped box by following a great tutorial by Alexandra M on YouTube. This box was decorated using the City Sidewalks Scrapbook Kit. 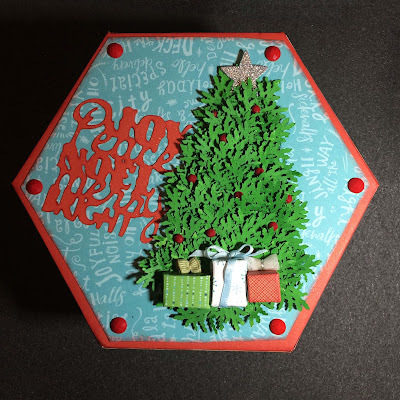 The Evergreen Tree was created by a full 12X12 sheet of willow cardstock (just over 150 branches) cut using the Flower Market cartridge, X shift flower-1. (used the fill page setting.) I used a vivid green Shin-Han marker to cover up the white core cardstock. Then I glued the branches to a plain triangle of cardstock. The gifts where little tiny boxes made from scraps of the City Sidewalks paper pack. The tiny bows are made from ribbons in my stash and the two of the bows where made using metallic thread that my dear friend, Rondi, offered me when I worked on the project at her crop. The star on top of the tree is from the City Sidewalk Complements. The sentiment is cut from cranberry cardstock using the Artistry cartridge, Holiday background. Then I used my shimmer brush to make it sparkle! This Christmas my family will each get a gift in a hexagon box. City Sidewalks was so fun to create with since all the papers coordinate so well and I also bought the coordinating cardstock too! Now hop on over to Sonia Parent St Jean's Blog. Fabulous project! Love how you layered all the branches. Wow! Lots of work there! The tree is amazing! Wow!!! Incredible hexagon box! I love it! Thanks for sharing Anna! Love the hexagon box! Very creative!